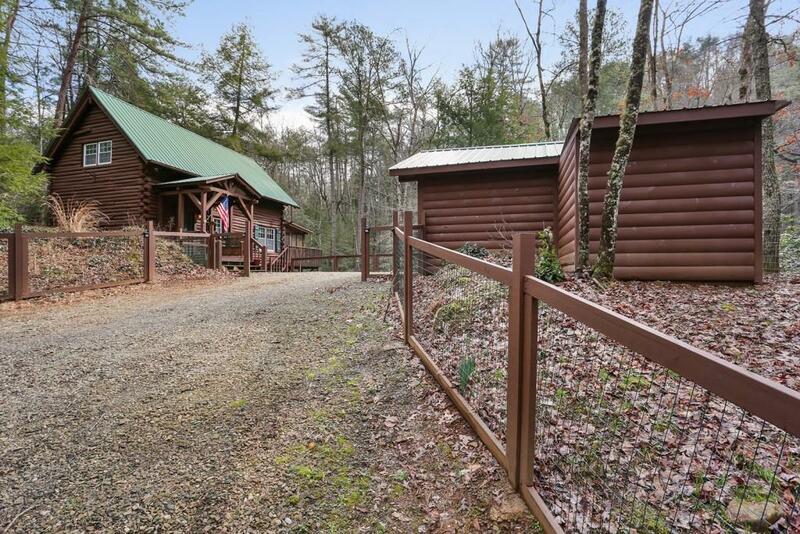 Beautifully Maintained Cabin loaded with Rustic Charm! Right on Talking Rock Creek-a stocked Trout Stream! <4miles to Jasper, <15miles to 3 boat ramps on Lake Carter, <3miles to Pickens County Sportsman Club, <30min to Ellijay. The peace and quiet with year-round usability and easy access you have been waiting for! Perfect for full time residence, weekend getaway- even rental potential! This is your chance to have that beautiful place away from it all but close to restaurants and amenities! Directions: Do Not Follow Gps!!! From 575/515 Get Off At 136east. Take 136e To Teaberry Ridge Subd. On Right !neighborhood Hard To See Look For Harry Norman Sign!. Do Not Turn Onto Philadelphia If Coming North. Keep Going To 136. Selling Office: Red Barn Real Estate, Llc.